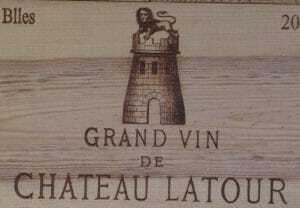 Chateau Latour – premier grand cru classé in Pauillac in the Medoc and first of the premier grand cru classés to be certified organic- are proud to share that they are now certified organic (2018 is their first vintage for their red wine to be fully certified). Domaine Romanee Conti (DRC) the most expensive wine in the world has been certified organic and biodynamic since 2007. This is great news for organic growers as it raises the awareness of organic in the premium part of the market. On the other hand with pressure from pesticide scares and more consumer awareness about pesticides more conventional winegrowers are saying they are ‘organic’ but they are not certified. 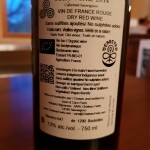 Some say they don’t want certification since organic has a bad reputation so they don’t want it on their bottle – Latour shows us this is no longer true. Some say they don’t want it because of the paperwork involved – again not true since the paperwork is required by law regardless of whether you are organic or not. For most winegrowers being organic offers a premium worth having if you are really farming this way (the cost of certification is definitely lower than organic premium). You have lower yields and higher labour costs with organic – the premium helps offset the extra costs and lower yield of organic farming. 10*40hl (organic farming in Aquitaine typically yields 20% less than conventional and AOC Bordeaux averages around 50hl/ha) = 400 hl so around 53 000 bottles produced at say 3 euro per bottle (trade price so retailing for around 6 euro in France- ie the low end of the market to be conservative). There is a premium of at least 25% for organic so 75 cents. Thus the premium for being organic for this estate is 39750 euro. If you have taken the pain of extra labour costs and lower yields that comes with being organic you are going to want that premium. Certification for 10 hectares costs around 600 euro. A no brainer. Winegrowers that are really organic are certified organic. Now it is even more important to demand certification of your organic wine. High profile wineries like Latour will raise organic awareness and there will be more temptation to say ‘we’re organic just not certified’. Don’t accept that – you can see from the economic analysis above if they are really organic they will be certified. See social vignerons for a photo of Chateau Latour’s ecocert certificate and more. 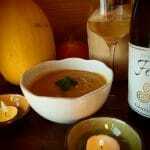 You can find Feely organic biodynamic wines including shipping within Europe (including UK and Northern Ireland) here. See our series on why organic. Come and learn more about organic farming with a visit to Chateau Feely in South West France ; stay with us or do a multi day course or multi day tour . You can read about the story of our organic farm the series includes three books Grape Expectations; Saving our Skins and Glass Half Full by Caro Feely. Join our mailing list to receive our seasonal newsletter, wine school, events, wine pairing, recipes and more info on this topic at the bottom right of this page. Thanks Ian! Great to hear from you and looking forward to seeing you again next year. Merci!